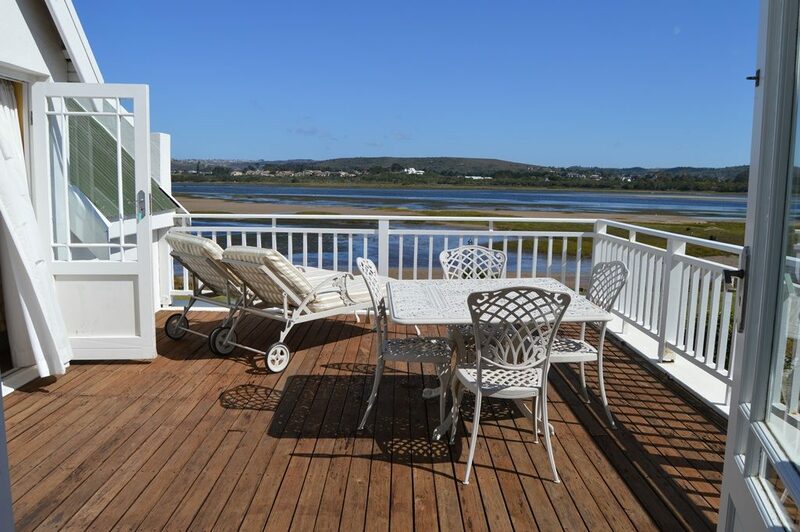 Wake up with the sea on your doorstep! 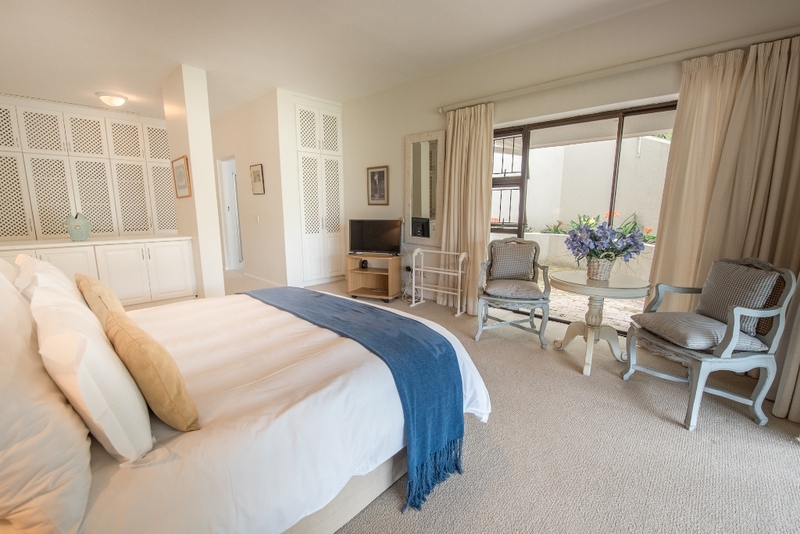 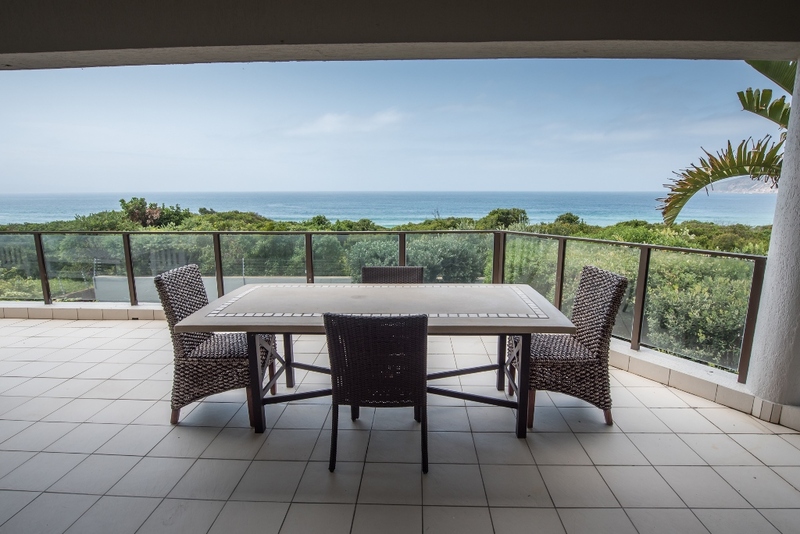 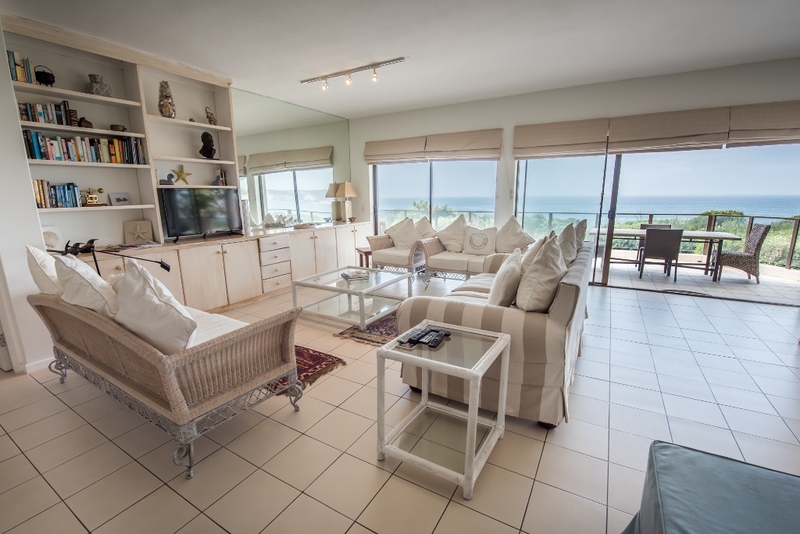 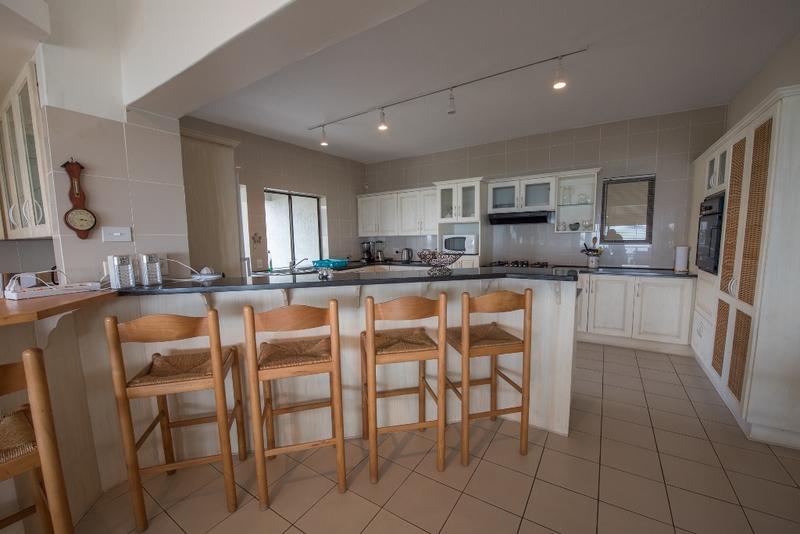 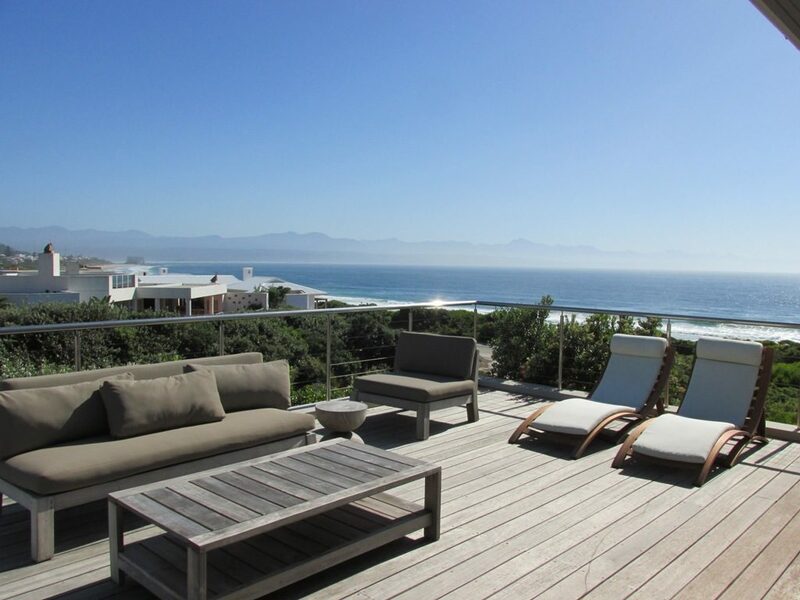 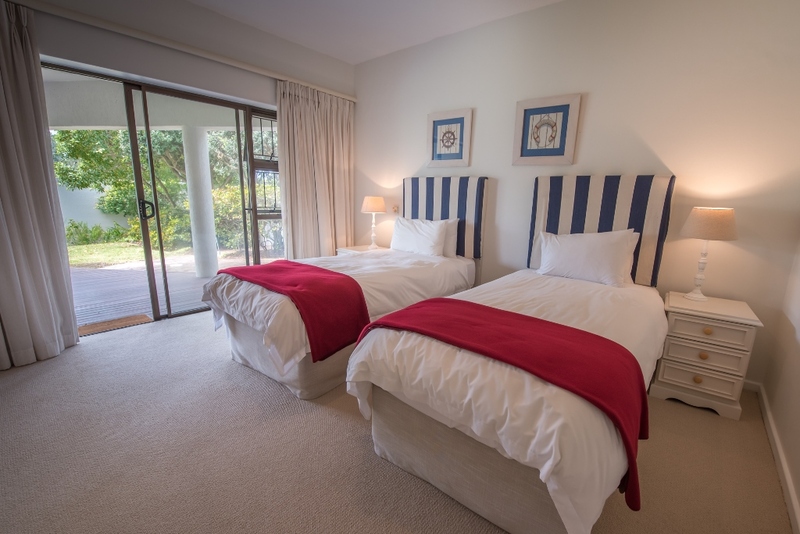 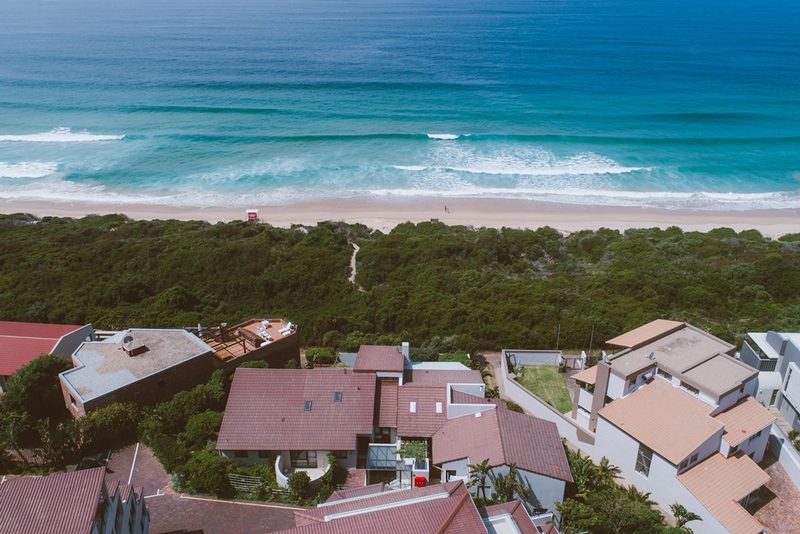 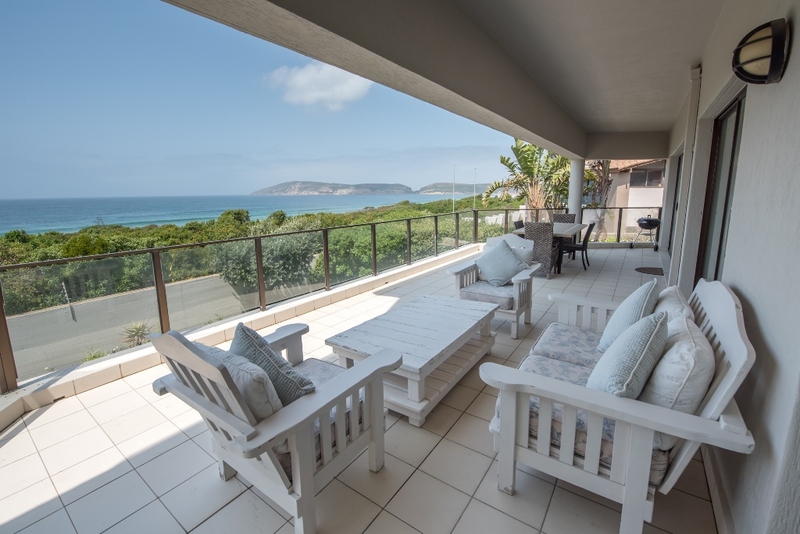 This well appointed & spacious apartment overlooks Robberg Beach in the popular Sanctuary complex. 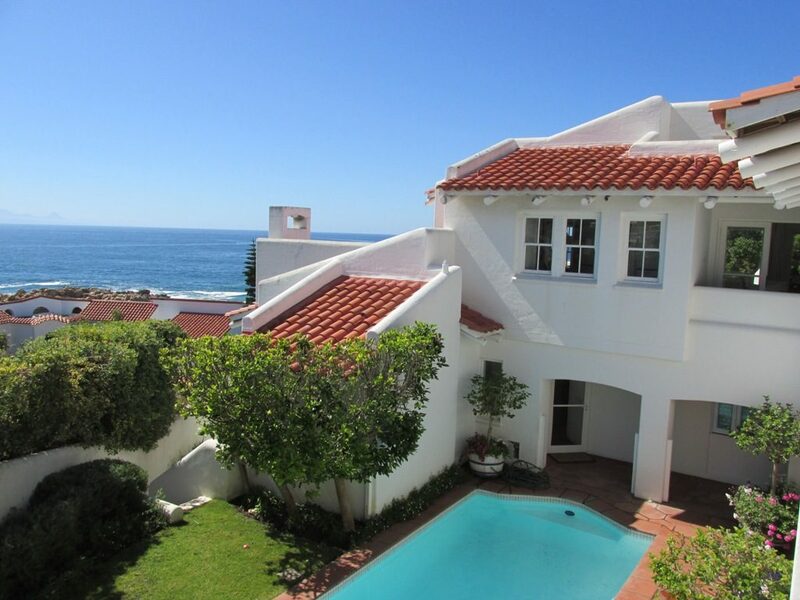 Access to beach is via garden onto cobblestone path and onto the beach. 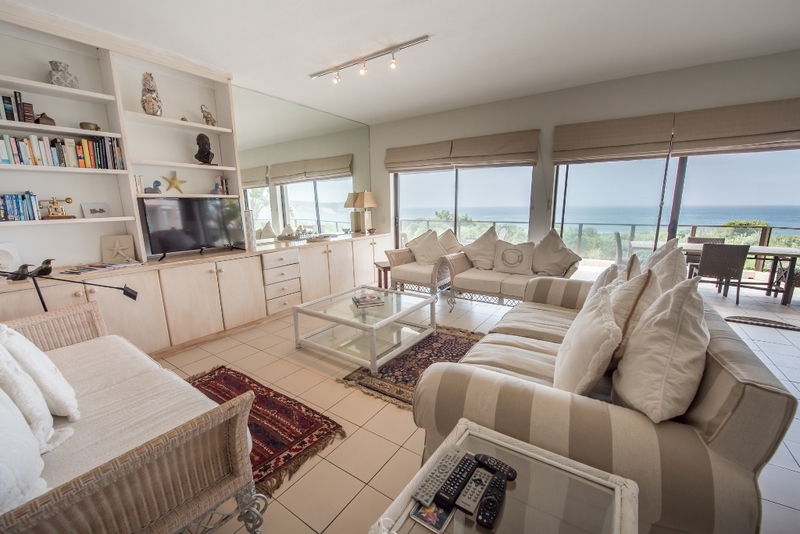 Wi-Fi and Full DSTV included. 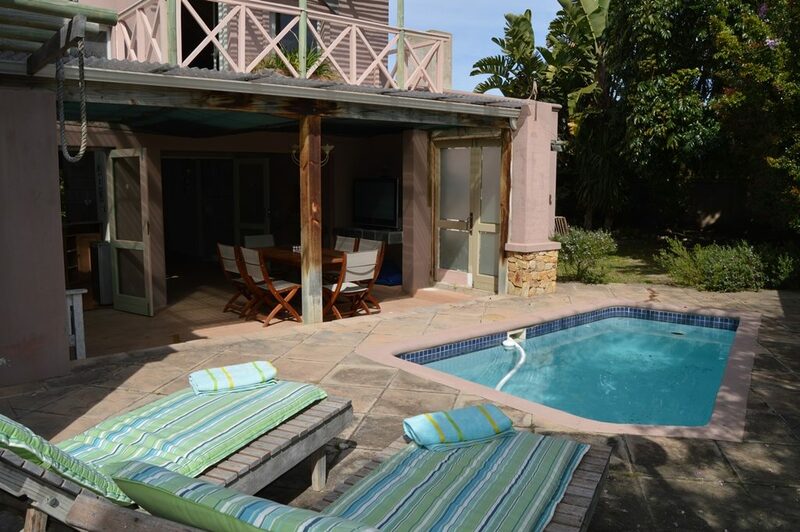 You have access to the Sanctuary Club – which is adjacent to the complex which is on the corner of Jackcase Street and Trinity Street. 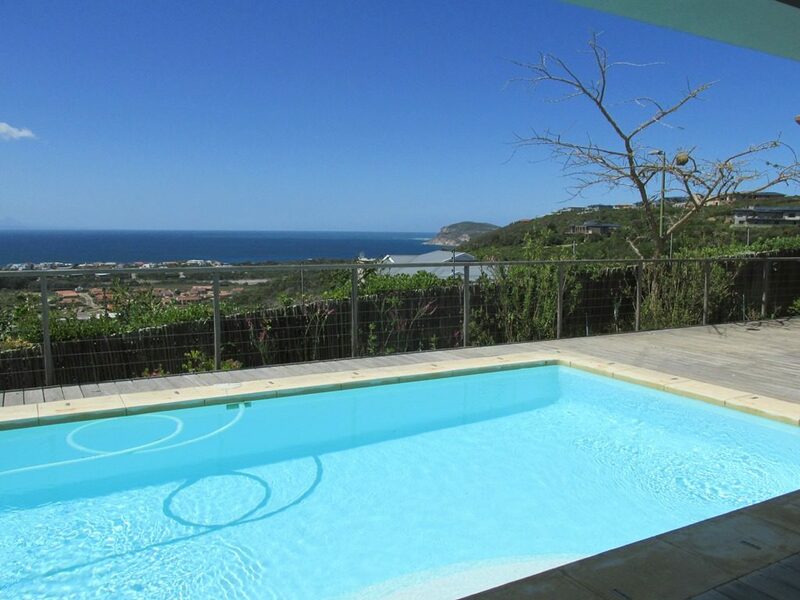 This offers tennis courts, squash court, sauna and X2 swimming pools. 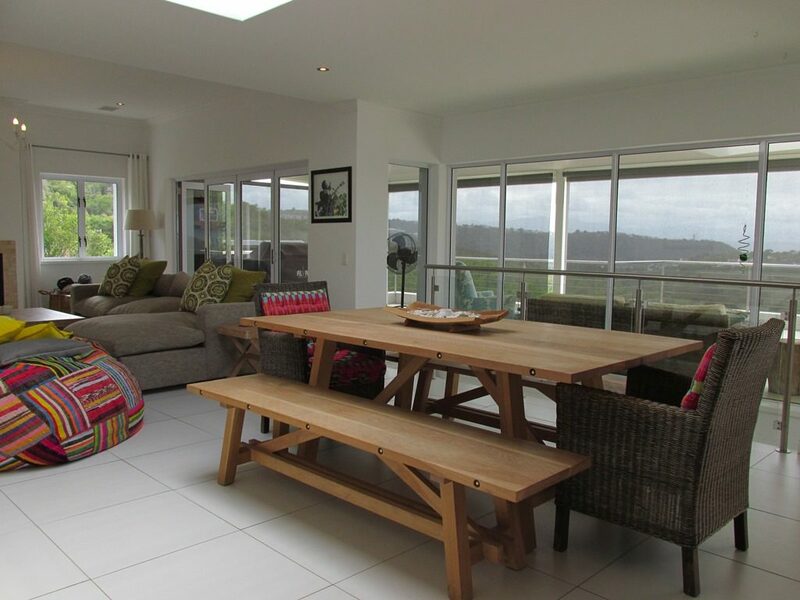 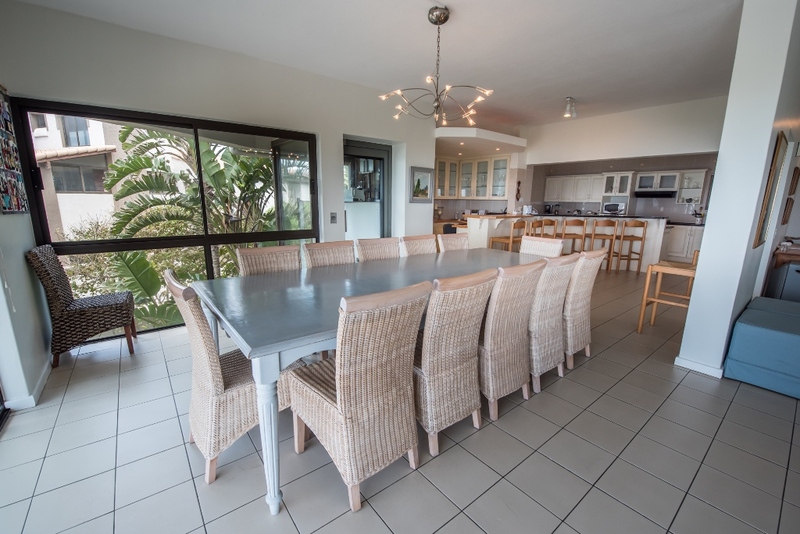 Upstairs: Open-plan lounge and dining area with table (seating 12), – all with lovely sea views. 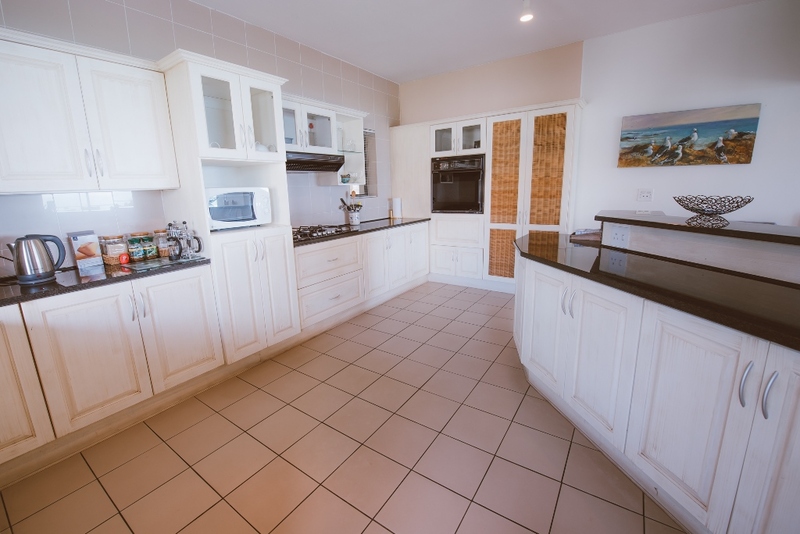 Open-plan kitchen. 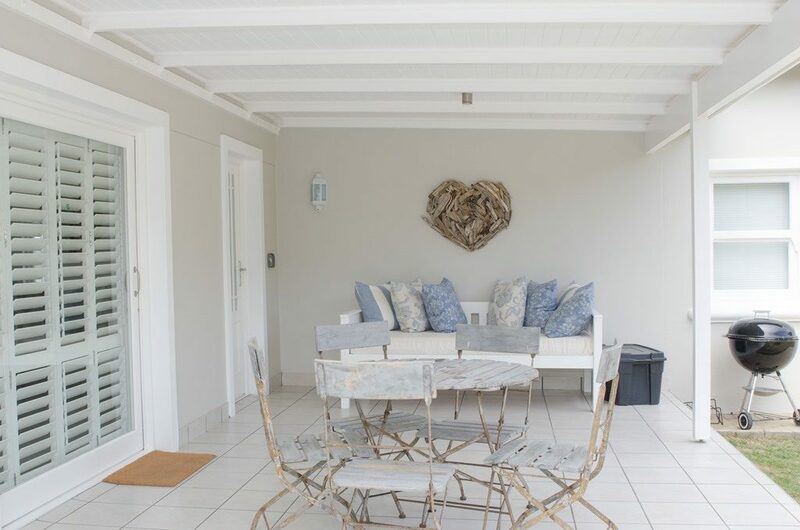 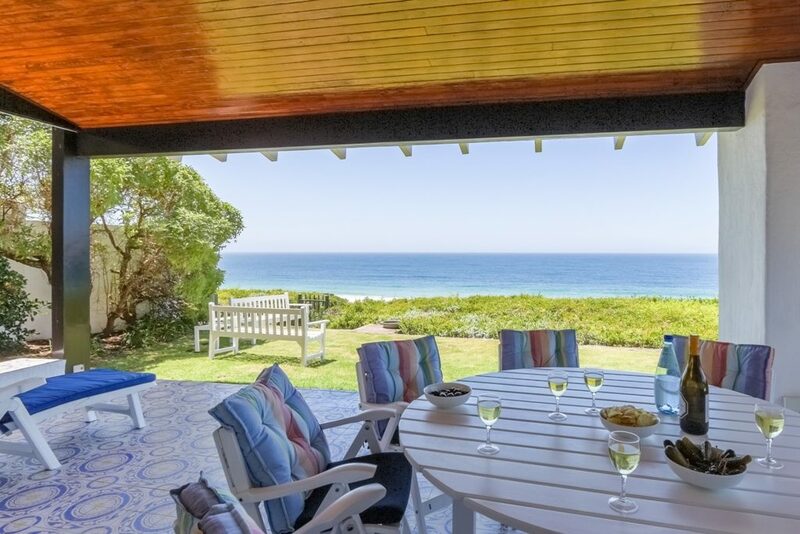 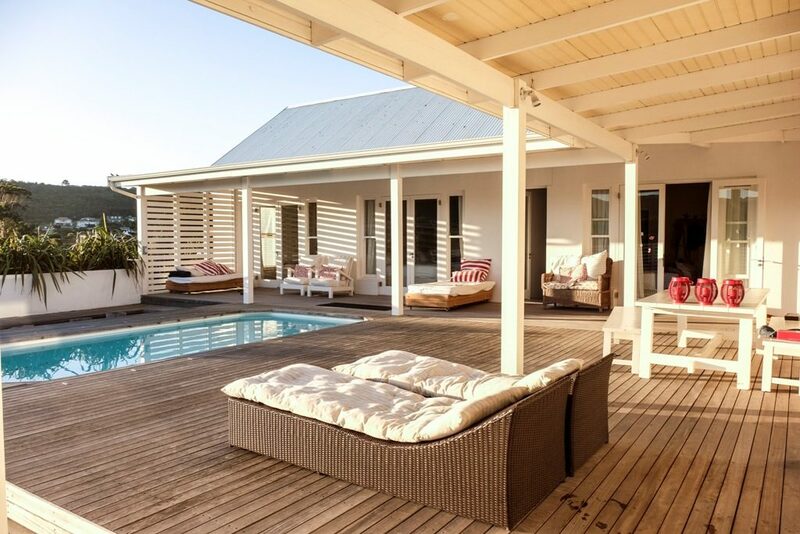 Glass doors lead out onto a spacious covered patio which overlooks Robberg Beach. 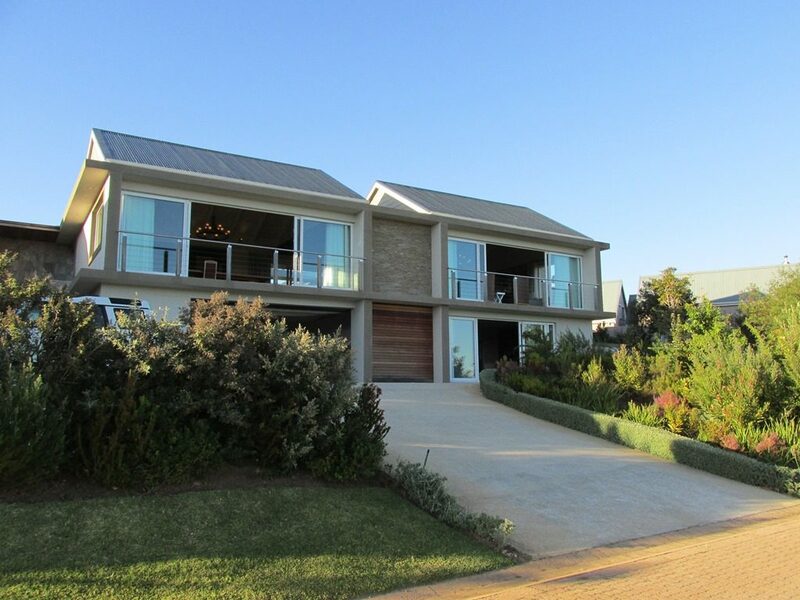 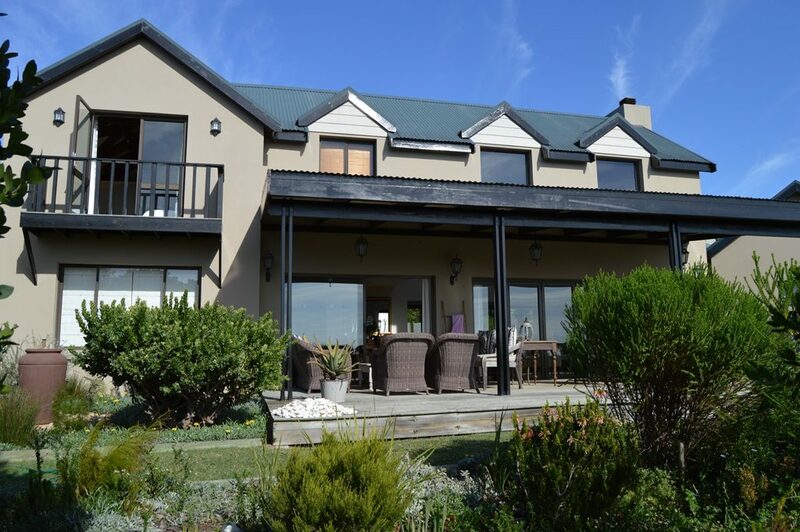 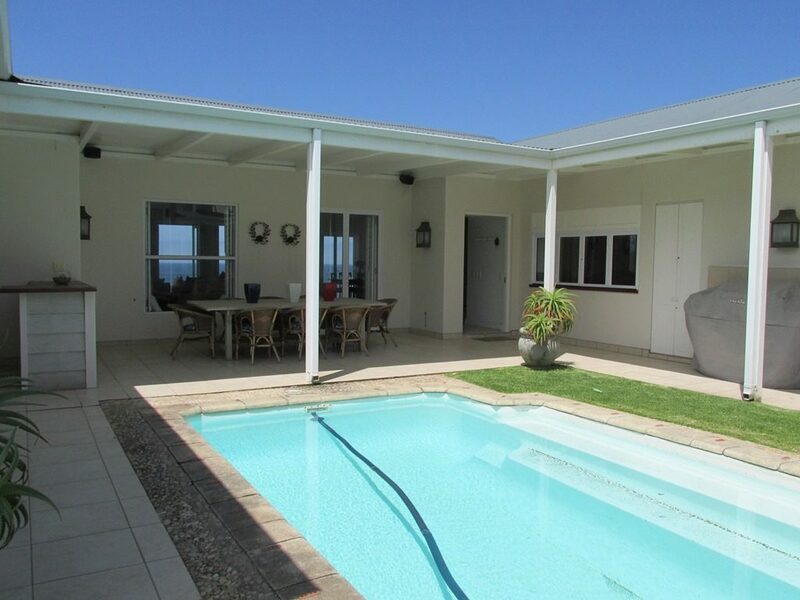 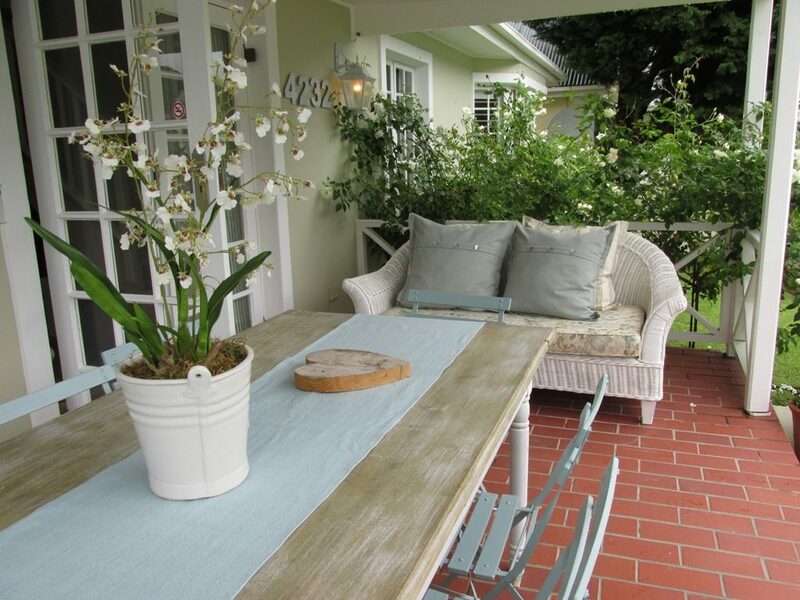 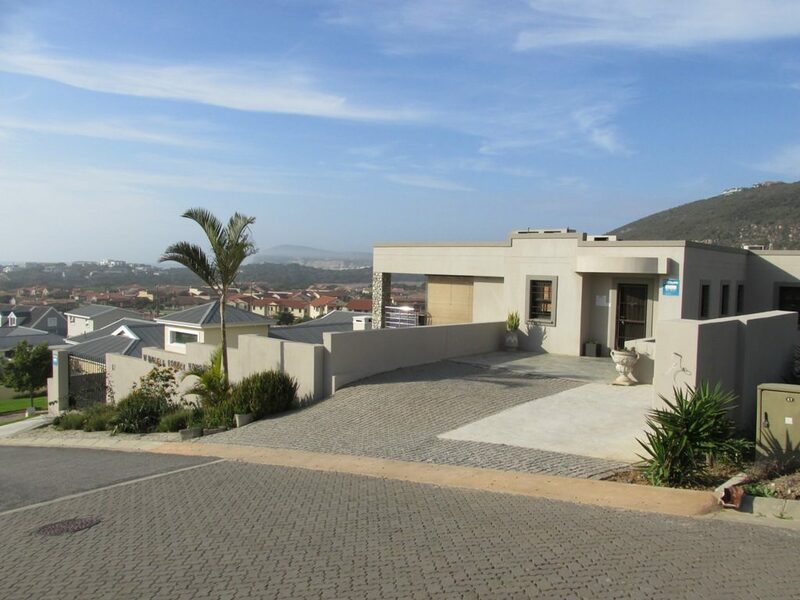 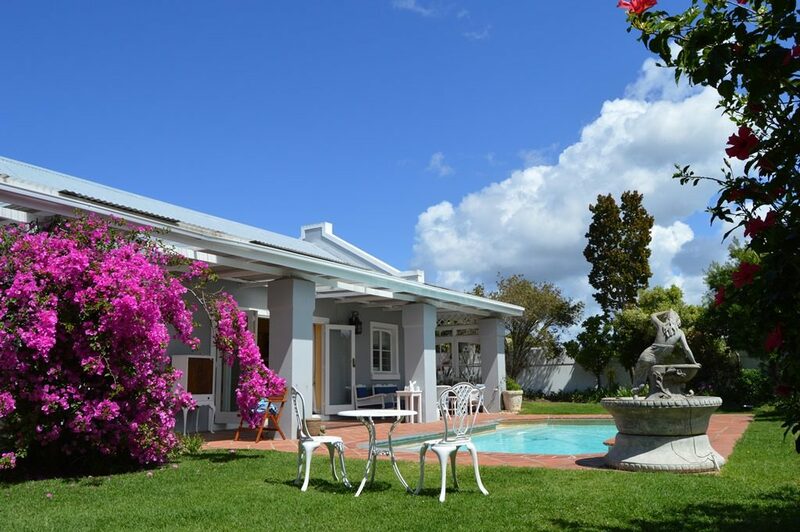 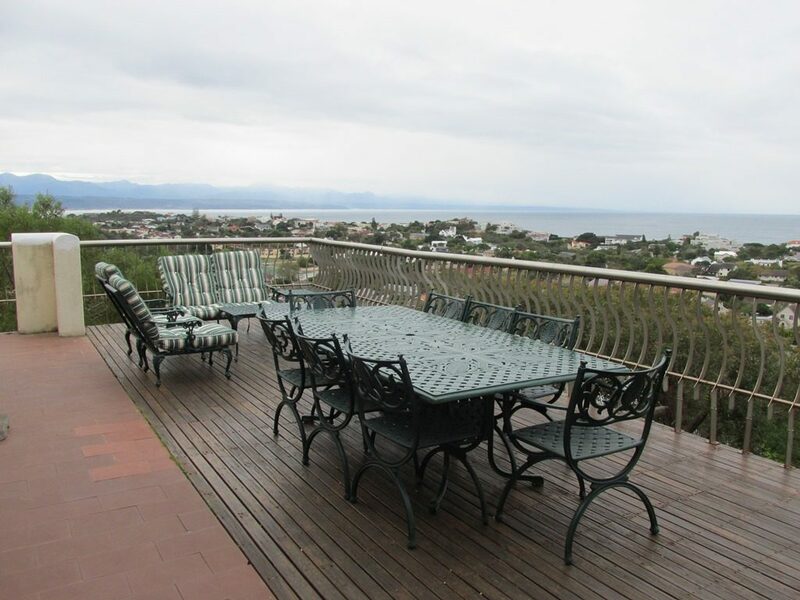 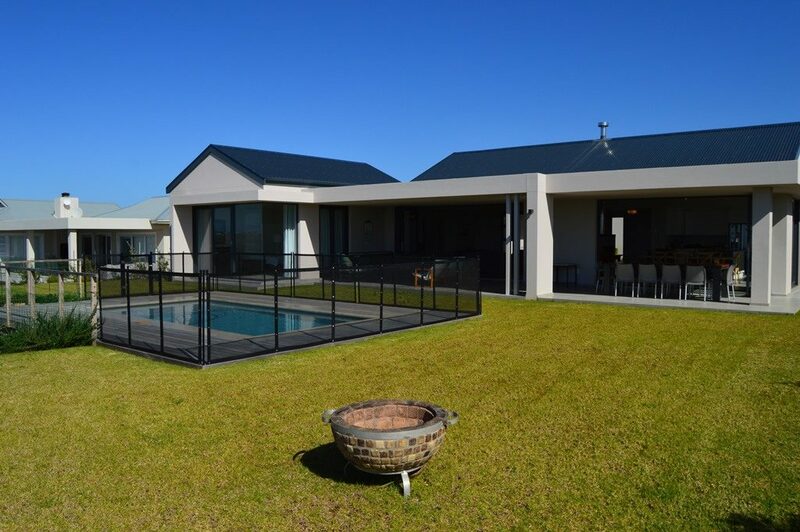 Patio is furnished and with outdoor patio table and outdoor dining table and weber braai. 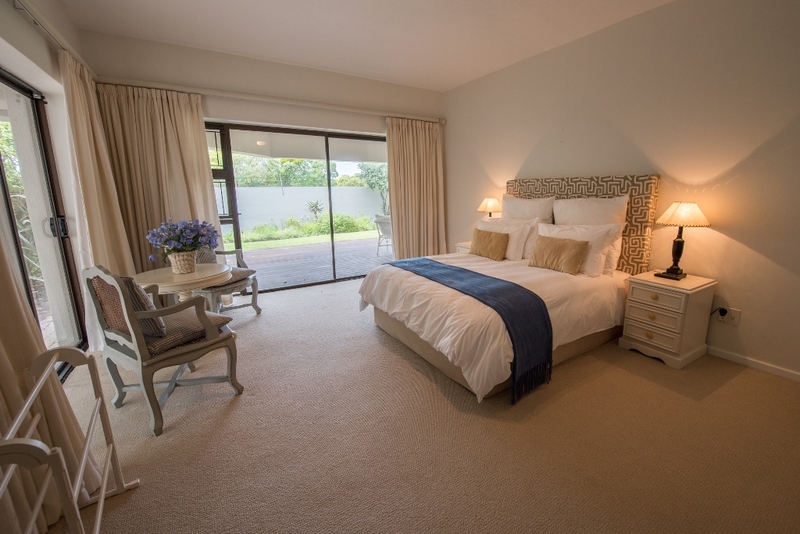 The master bedroom is upstairs, while the guest bedrooms are downstairs. 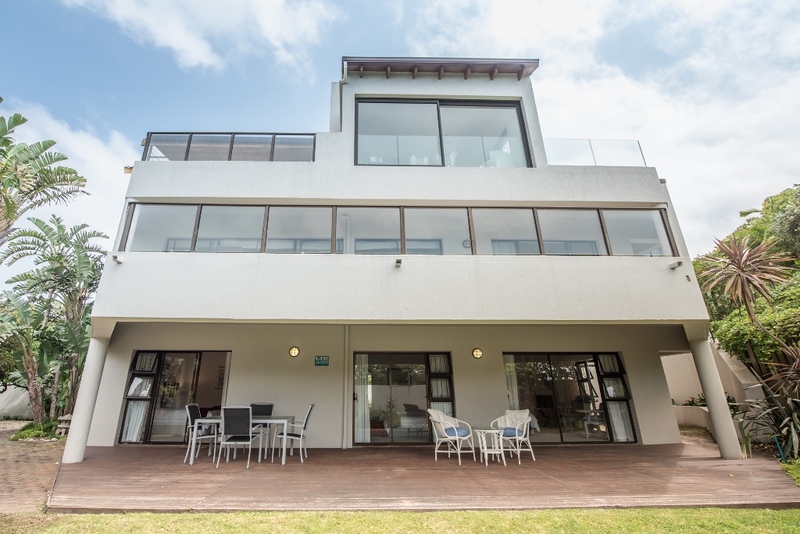 The garden downstairs is fully enclosed, has electric fencing and has a gate leading to a cobblestone path to the beach. 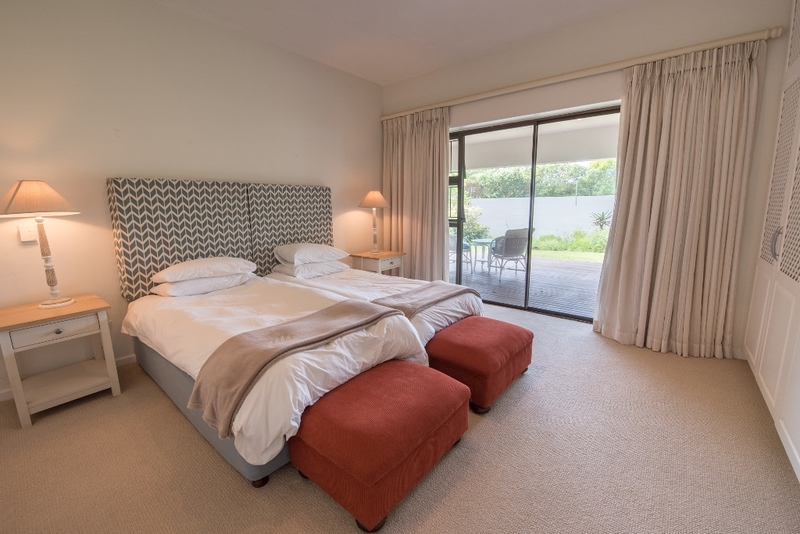 BEDROOMS: – All bedrooms are carpeted, the main bedroom is upstairs and all bedrooms have sliding doors onto the enclosed garden and decked patio, except for the upstairs bedroom which leads onto the upstairs patio. 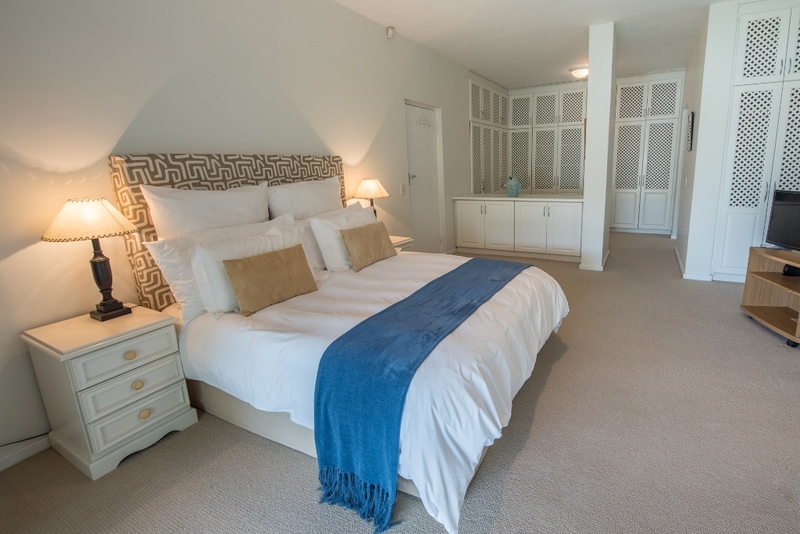 Bedroom 2: Queen Bed with en-suite bathroom. 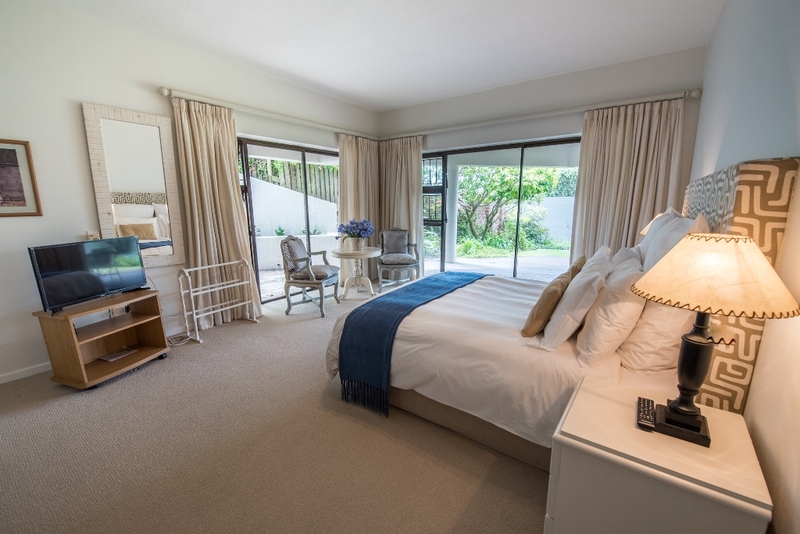 Family bathroom: For bedrooms 3 & 4 to share. 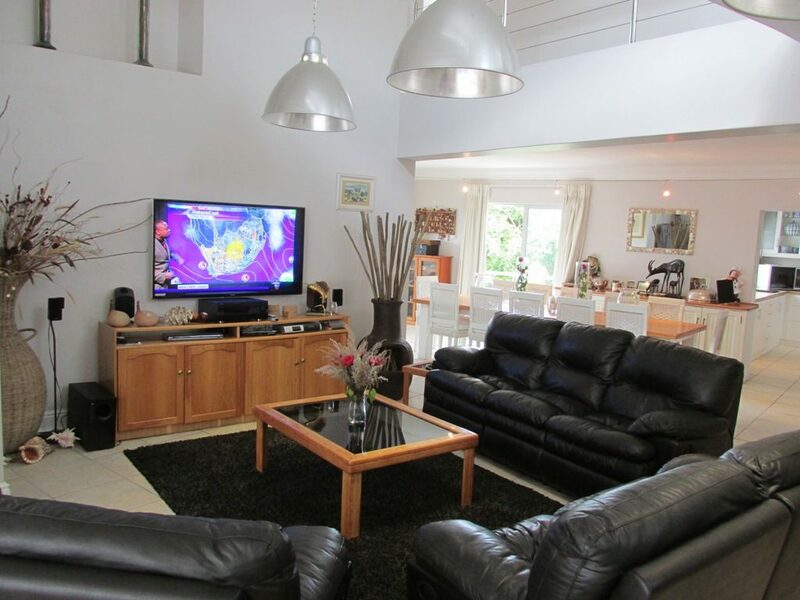 Wi-Fi available and included in the rental. 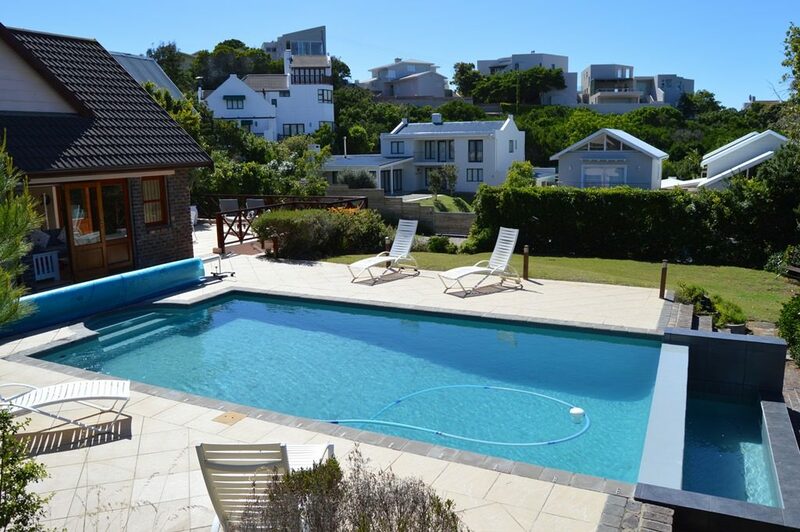 Tennis courts, squash court, sauna and X2 communal swimming pools at the Sanctuary Club. 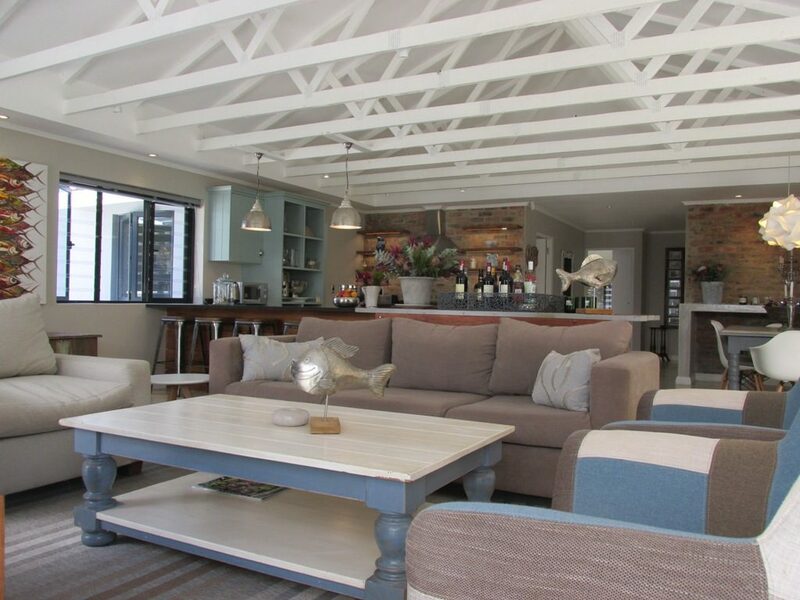 Bookings at the club house. 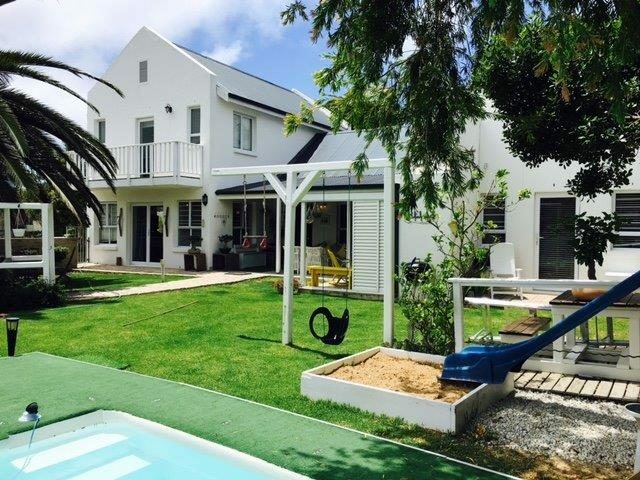 Please bring own tennis & squash racquets and balls.